The French phrase ne plus is a common way to negate something. While you may have extensively learned about the phrase ne pas, you may not yet have learned all the ins and outs of the phrase ne plus. In essence, the phrase means 'anymore', as in 'I don't know anymore', showing that what you used to know, you no longer know. The meaning of this common phrase is somewhat difficult to grasp for English speakers because it is not a phrase that is frequently used in English. If someone asks you who starred in a movie that you saw two years ago, you are more likely, in English, to say 'oh, I don't know, I forgot', than to say 'I don't know anymore'. In French, it's the opposite; j'ai oublié (I forgot) is much less likely to be used than the phrase je ne sais plus (I don't know anymore). 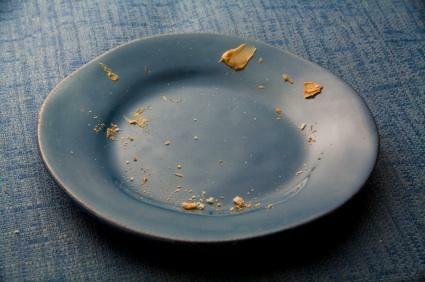 Likewise, in eating and drinking situations, English speakers often make an affirmation about having had enough or being full when they no longer want any more to eat or drink. In contrast, French speakers often use the phrase je n'ai plus faim (I'm not hungry anymore) to express that they're full. In this manner, the French phrase ne plus is used very often by French speakers. Je ne t'aime plus: (I don't love you anymore)- a common phrase, despite the fact that nobody wants to hear it from a loved one. Je ne sais plus: (I don't know anymore)- can be used either to mean that one has forgotten some piece of knowledge/information, or to mean that the speaker is a bit confused. For example, if the person thought they were going to become a doctor, but their studies are not going well and someone asks them if they still want to enter the medical profession, the English response 'I just don't know anymore' would be phrased je ne sais plus. Je ne l'ai plus: (I don't have it anymore)- if you borrowed something and gave it back, or you are no longer the owner of something that somebody asks about, this phrase could be your response. Je n'ai plus soif: (I'm not thirsty anymore)- if you were thirsty and had a drink, if the one drink was enough you would use this phrase when offered a second drink. Je n'en veux plus: (I don't want any more)- to show that you wanted some of something, but you've had enough and don't want any more. Je n'en peux plus: (I can't take it anymore)- a sign of exasperation and fatigue, this phrase should be handled with care. In written French, the above examples are correct; in spoken French, native speakers let the ne fall and use only the plus: je t'aime plus, je sais plus, je l'ai plus, j'ai plus soif, j'en veux plus, j'en peux plus. For learners of French, reaching the threshold where you can use the phrase the same way as native speakers of French is a milestone. In order to blend in with the natives, write the ne, but don't pronounce it when you speak. One last manipulation will make your spoken French match that of native speakers: pronouncing the phrase like a native. Most native speakers of French do not pronounce the 'l' in plus, making the word sound like pu (pronounced: pooh). In some regions, the 'l' sound remains, but knowing that the 'l' is often left out allows individual speakers to listen for this variation while in France. If you are in a region where the 'l' remains, you can do the same. Most speakers leave out the 'l' as systematically as the ne. This French phrase is a commonly used one and an important addition to your French vocabulary. Not only learning the phrase, but learning all the (frequent) situations in which it would be used is an important step along the route to becoming a fluent non-native speaker of French.